What would an international holiday be, if there were no linguistic discoveries made? On my most recent travels I made 3. Excuse me while I geek out about them below. People are always asking me if I get different languages mixed up in my head. While the answer is usually not, I have run into this more often with numbers. When I was learning Japanese I would often confuse the number 1 in Chinese with 1 in Japanese. The number 3 in Chinese is san, in Japanese is san, in Korea in the Sino-Korean numbers it’s sam, in Lao it’s sam, and in Thai it is also sam (forgetting about tones at the moment). I discovered the 9 connection in Hong Kong. 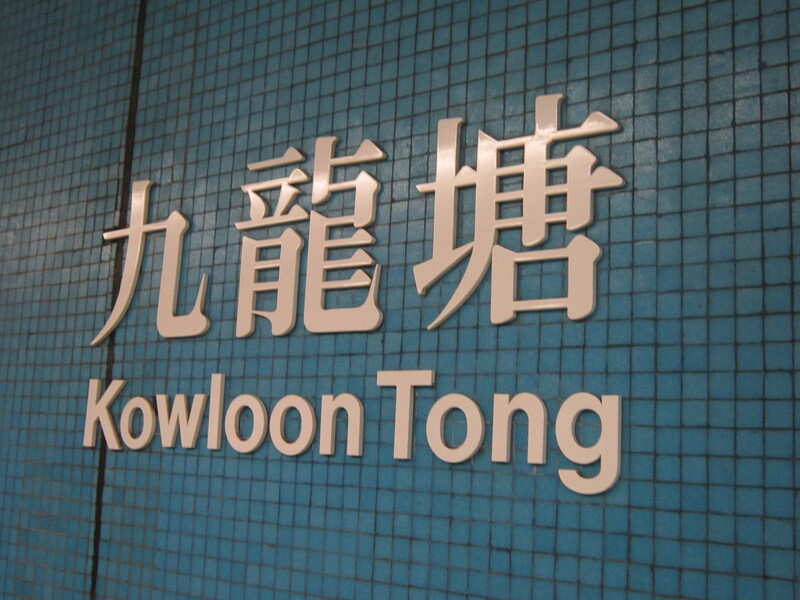 Kowloon is a an area of Hong Kong. I had seen the name of the place but hadn’t seen the character and had incorrectly pronounced the kow part like “cow”. Then on the train from the airport I saw 九龙 or, 9 dragons, written on the train as an upcoming stop and it came over on the intercom as we approached the station and I put two and two together. 九, though transliterated as kow, sounded a lot more like gow in Cantonese which of course sounds like the gao for #9 in Lao and Thai (minus the tones of course). I know the Lao word for gold because on of my staff has the syllable for gold in his name. Kam. 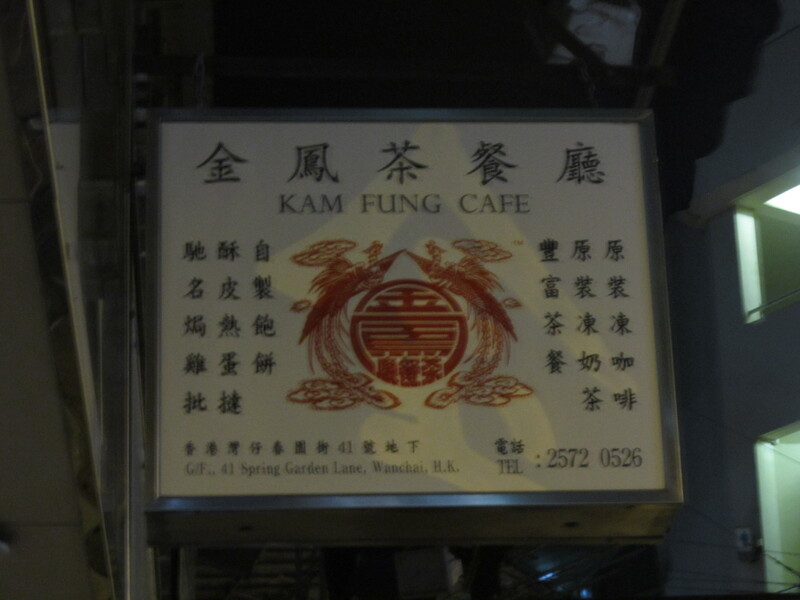 I was walking down the street in HK and saw a sign for a cafe with the word gold in the name. Underneath the character for gold were the letters k-a-m. After returning to Lao, I put together a third gold connection with Korean. Not quite as well preserved as the Cantonese/Lao one but still interesting. 金 (pronounced jin in modern Mandarin) is pronounced geum or kim in Korean (Kim, like the common Korean surname means gold). Only the vowel has changed, the initial and final consonant are consistent with the Lao/Thai/Cantonese. At the conference in Bali, I noticed a greeting that people would say “Om sawasti astu.” The first hundred times I heard it, I thought nothing. But then it occurred to me that this sawasti sounded similar to the Thai greeting: sawatdee. Now, I’m sure no one reading this will mind I’ve been spelling things wrong up to now, but from here out I will switch to the more acceptable spellings. Turns out in Bali I was hearing swasti. In Thai, the greeting is also spelled swasti, with the implied vowel ‘a’ between the s and w AND with the s before the t. I don’t know much about Thai historical linguistics, but I know that this s (there are four s sounds in Thai), when it is the final consonant in a syllable, is pronounced as a t. If you didn’t read Thai you wouldn’t even know that the t there was spelled with an s. Anyway, I was curious what swasti meant then as a part of these greetings. What I found was that swasti in Indonesia meant something like health or well-being. In Thai, it means something akin to well-being.